Is Tamalpais Valley Improvement Club dying? When I published the previous installments of this series I was relying only on the Clintons’ financial disclosures for 2013 through 2015 because that was the only information I could find. The speaker fees for that period totaled $47.7 million. I recently found a CNN article revealing that the Clintons earned over $153 million in speaking fees from 2001 until May 2015, when Hillary announced her presidential campaign. “In total, the two gave 729 speeches from February 2001 until May , receiving an average payday of $210,795 for each address.” See $153 million in Bill and Hillary Clinton speaking fees, documented, by Robert Yoon, 2/6/2016, CNN. The article includes a chart itemizing the speeches to banks from 2001 to 2015, but doesn’t gives details for speeches to other industries. There were 729 speeches during that period – 545 more than I have in the database I compiled. Eight of those earlier speeches were to Goldman Sachs (that makes 12 speeches to Goldman Sachs from 2001 to 2015, totaling $2.225 million); five more to UBS (totaling $1.9 million for 10 speeches); three more to Deutsche Bank (totaling $1.225 million for 6 speeches); three more to Bank of America/Merrill Lynch (totaling $1.3 million for 5 speeches) and one additional speech to Morgan Stanley (total 2 speeches, $350,000). Additionally Bill Clinton made four speeches to Citigroup between 2004 and 2007, totaling $700,000. The addition of Citigroup to the mix makes the Clinton bank collection complete – each of the banking titans that figured heavily in the banking collapse were hosts of multiple Clinton six-figure speeches. As I showed in parts 2 through 5, many of the corporations the Clintons took speaking fees from are huge monopolistic corporations that have gobbled up the competition to become the biggest, and have broken a string of laws and regulations in their mad race to become the biggest and most powerful. They keep their industries deregulated, and hang onto the loopholes and tax breaks they have obtained, by lobbying and making large campaign contributions to influence lawmakers. In exchange, law enforcers go easy on them and bail them out with taxpayer money when their risky behavior with our money wrecks the economy. Many of these corporations have a long string of criminal investigations, and even criminal charges, that ended in multi-million dollar fines but no criminal penalties for the executives who directed the illegal activity. Often the financial harm they caused the public and/or the profits they made off their nefarious activities dwarfed the fines they paid. Often presidents have appointed former executives from these corporations to head federal watchdog agencies which were intended to regulate the industry to protect the American public from predatory behavior by corporations. The foxes guarding the hen house protect the corporate foxes instead. Many of these corporate speech buyers spent millions lobbying and contributing to political campaigns, buying influence to keep their industries deregulated and undertaxed. They the status quo preserved and Hillary is there to get things done for them. The baddest of the bad boys in this list were often frequent customers of the Clintons’ speeches. A presidential candidate taking $46.6 million in six-figure speaking fees in the two years before running for president, from corporations that will have issues before the next president — is a new breed of influence peddling. Influence peddling (also called traffic of influence or trading in influence) is using one’s position or influence in government or connections with public officials to obtain favors or preferential treatment for someone in return for money. Influence peddling is not necessarily illegal – take lobbying for instance. The Organisation for Economic Co-operation and Development (OECD) has used the term “undue influence peddling” to refer to illegal acts of lobbying. Even if not currently illegal under the strict interpretation of existing law, “influence peddling bears the stench of corruption that may de-legitimise democratic politics with the general public.” El caso de la ex imprenta Ciccone (Spanish). In some foreign countries influence-peddling, legal and illegal, is so widespread that it has to be factored into the cost of doing business there. The World Bank’s web page Informal payments to public officials gives a country-by-country breakdown of the percentages of companies doing business there that “expected to make informal payments to public officials to ‘get things done’ with regard to customs, taxes, licenses, regulations, services, and the like.” (Emphasis added). In 2013 the highest percentages were in the Ukraine (73.1%), Cambodia (55.4%), Yemen (55%), Kyrgyz Republic (51.2%), Congo (50.4%), Bangladesh (48.5%), Pakistan (45.8%), and Madagascar (43.1%). See also the Google book Anticorruption in Transition: A Contribution to the Policy Debate. Clearly, in international affairs lingo, “get things done” is a term of art – a synonym for bribery. Presumably, as Secretary of State, Hillary Clinton came to know that term. It is curious that she chose to use it in her motto in her presidential campaign. Could it be code she is projecting to the corporations who paid her huge fees, to let them know she will deliver for them? What is the difference between these speaking fees and bribery? Under 18 U.S.C. § 201(b)(2) it is bribery for “a public official or person selected to be a public official” to “directly or indirectly, corruptly” demand, receive or accept “anything of value personally or for any other person or entity, in return for: (A) being influenced in the performance of any official act…” Because Hillary had ended her position as Secretary of State before accepting the speaking fees and has not yet been selected to be a public official, that would not be bribery. It is like pre-bribery, which arguably has not been outlawed yet. Also she would likely argue that the speeches she gave were the consideration for the six-figure payments. I think that is debatable. What exactly did she say to these corporations that could be worth that much to them? Those six-figure speaker fees brought in a lot of money from each corporation, especially when they spoke to some of the corporations a number of times. Granted – though he is certainly no yardstick of virtue — Donald Trump made a series of $1.5 million speeches in 2006 and 2007, but those were all at the Learning Annex’s “real estate wealth expos” — edutainment seminars with thousands of people, each paying $99 to $499 to be dazzled by celebrity wealth experts promising the secrets for getting rich. To the gullible, the possibility of getting rich makes the investment worth it. As tawdry as that snake-oil hawking may be, Trumps’ speeches did not run the risk of influence peddling. Those individuals who paid a few hundred dollars hoping to get rich from the advice certainly had no expectation of purchasing influence from Trump for their few hundred dollars. Are Clintons’ speeches really the consideration for such extravagant payments? $225,000 to $500,000 for one hour speeches? Until this speaker fee scandal broke most Americans had never heard of former or future public officials getting such extravagant payments to make speeches. And when the same corporation pays for speeches over and over, what did they say in the later speeches that wasn’t said earlier? As stingy as corporations are when it comes to raising wages for lower level employees, this seems like a huge waste of money if the speech was just about the Clintons’ experiences and outlook on life, government, etc. Are the speeches really the consideration for the payments, or just a cover for it? Releasing the transcripts could shed light on this question. Even if it technically doesn’t violate the bribery statute. it does create a conflict of interest. Just because taking millions in speaker fees from the corporations that control the country isn’t bribery per se, that doesn’t mean it is healthy for the American people to have a president whose influence is bought before taking office. Is there any evidence she is influenced to favor the corporations that paid her? Hillary supporters “believe Clinton is a rare and special breed of politician. They think she is someone who cannot, has never been, and will never be corrupted by large sums of money given to her by corporate and special interests. “There must be no reason to overturn the Supreme Court’s Citizens United decision. The Democratic Party can simply educate up-and-coming leaders on how to be like Clinton, and the stark influence of money in politics will be reversed by the next generation of Progressives Who Can Get Things Done. Clinton Believes She’s Special Kind Of Politician Who Can’t Be Influenced By Money, by Kevin Gosztola, 4/4/2016, Common Dreams.org. Hillary says there is no proof that her judgment would be affected by the payment of money from corporations that in the future might seek favors from her administration. But with her very strict definition of “proof” how would one ever prove favoritism resulted from any large payment to an official? Because intent is hidden inside the minds of the participants – unless one of the participants confesses there would be no way to prove bribery under that interpretation. Nevertheless, prosecutors are able to prove bribery every day. They prove it by presenting circumstantial evidence of intent, such as statements of participants, patterns of similar acts, or deliberately refusing to turn over relevant evidence. One of the Clintons’ biggest corporate sponsors – Goldman Sachs — created a clever nickname for their speaking fees: “Hillary’s Goldman Handcuffs.” This is a reference to “golden handcuffs” a business term for financial perks that encourage employees to remain with the company, such as benefits that don’t vest until an employee has been employed a certain number of years. See Hillary’s “Goldman Handcuffs” — Yes, that is GS’s nickname for her, Daily KOS, Feb 17, 2016. It was meant as a joke, but it shows Goldman Sachs expects something in return for that money. The Clintons made twelve speeches to Goldman Sachs since 2004, totaling $2,225,000. See chart itemizing the speeches to banks from 2001 to 2015 linked in article $153 million in Bill and Hillary Clinton speaking fees, documented, by Robert Yoon, 2/6/2016, CNN. That’s quite a bit of influence for just one bank. Hillary Clinton’s Pay-to-Play Speaking Fees Disqualify Her as a Presidential Candidate, by Howard Friel, 2/22/2016, Common Dreams. While Secretary of State, Hillary Clinton used her position to benefit Clinton Foundation donors by approving deals that required State Department approval. News of her pay-to-play activities are just now starting to come to light as main stream news media is following up on leads revealed in Peter Schweizer’s new book Clinton Cash: The Untold Story of How and Why Foreign Governments and Businesses Helped Make Bill and Hillary Rich . An April 2015 New York Times article, Cash Flowed to Clinton Foundation Amid Russian Uranium Deal, by Jo Becker and Mike McIntire (based on some of Peter Schweizer’s research for his book Clinton Cash), explains how leaders of several Canadian mining corporations that frequently donated to the Clinton Foundation set up a corporation called Uranium One which bought up uranium mines in four western states including Wyoming, Texas and Utah, (as well as Kazakhstan) and eventually sold the company to Russia. As a result, Russia now owns one-fifth of the U.S. uranium reserves. The article describes a convoluted chain of events, including: a star-studded fundraiser for the Clinton Giustra Sustainable Growth Initiative ($100 million pledged); Bill Clinton’s influence with Kazakh officials (which may or may not have been needed); the arrest of a head of the Kazakh company for illegally selling uranium deposits to foreign companies; the sale of Uranium One to the Russian atomic energy agency; approval of the sale by the State Department while Hillary was Secretary; as much as $5.6 million in donations to the Clinton Foundation from Uranium One participants; and one speech by Bill Clinton in Moscow in which he was personally paid $500,000. “As the Russians gradually assumed control of Uranium One in three separate transactions from 2009 to 2013, Canadian records show, a flow of cash made its way to the Clinton Foundation. Uranium One’s chairman used his family foundation to make four donations totaling $2.35 million. Those contributions were not publicly disclosed by the Clintons, despite an agreement Mrs. Clinton had struck with the Obama White House to publicly identify all donors. Other people with ties to the company made donations as well. Cash Flowed to Clinton Foundation Amid Russian Uranium Deal, by Jo Becker and Mike McIntire, New York Times. Perhaps even worse than Clinton allowing the sell-off of our uranium supply to Russia are the arms deals she approved to foreign governments that had donated to the Clinton Foundation. “In 2011, the State Department cleared an enormous arms deal: Led by Boeing, a consortium of American defense contractors would deliver $29 billion worth of advanced fighter jets to Saudi Arabia, despite concerns over the kingdom’s troublesome human rights record. In the years before Hillary Clinton became secretary of state, Saudi Arabia had contributed $10 million to the Clinton Foundation, and just two months before the jet deal was finalized, Boeing donated $900,000 to the Clinton Foundation, according to an International Business Times investigation released Tuesday. Hillary Clinton oversaw US arms deals to Clinton Foundation donors by Bryan Schatz, 5/28/2015, Mother Jones. 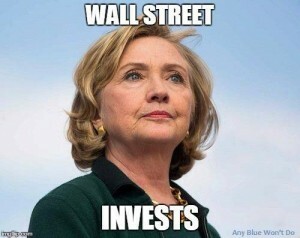 Remember UBS Wealth Management, the Swiss bank with a blemished past dating back to Nazi Germany, which hosted 5 Clinton speeches from 2013-2015 for $1,075,000 (plus 5 more between 2011-2012 adding another $840,000, according to CNN)? In 2009, shortly after becoming Secretary of State, Hillary intervened to help UBS out in a lawsuit brought by the IRS. The IRS sought the identities of the owners of 52,000 Swiss bank accounts. Hillary negotiated a compromise reducing the number to 4,450 of the accounts (8.5% of the number requested). UBS then paid “Bill Clinton $1.5 million to participate in a series of question-and-answer sessions with UBS Wealth Management Chief Executive Bob McCann.” Hillary Helps a Bank—and Then It Funnels Millions to the Clintons, TheAtlantic.com July 31, 2015. This is apparently in addition to the speeches earning them almost $2 million from UBS between 2011-2015. This article, Hillary Clinton’s Single-Payer Pivot Greased by Millions in Industry Speech Fees, by Zaid Jilani, 1/13/2016, The Intercept, argues Hillary’s change of heart about single-payer healthcare plans – which she favored in the 1990s but now adamantly opposes – was a pivot “greased” by the $2,847,000 she alone made from 13 speeches to major health care and insurance corporations between 2013 and 2015. Why won’t she turn over the speech transcripts? Given Hillary’s penchant for making embarrassing gaffes, chances are very high that she made statements she would not have made to a mixed audience. When she is speaking before her base, which tolerates a certain amount of racism and classism in its sense of humor, politically incorrect gaffes just trip off the tongue. A recent example is Hillary’s staged skit with Bill DeBlasio in which a black Broadway actor dressed in a period costume which looked like a lawn jockey costume, and DiBlasio’s joke about CPT (“colored people time” – I had to look it up). Hillary laughed at the joke. It wasn’t funny. Obama made a great joke about that joke, saying CPT stands for “jokes that white people should not make.” But she makes gaffes like that in debates and campaign speeches too, so that alone can’t be it. A more important reason to keep the contents of the speeches secret are the political positions she espoused to the corporate audiences about the issues that concerned them. Very likely the transcripts reveal that her true positions on the issues will not go over well with the American voters who, based on her recent campaign speeches, believe she is a “progressive” and don’t know that “who likes to get things done” means something else to her corporate benefactors. We can extrapolate what they said in their speeches from the audiences themselves. The megabanks that caused the financial meltdown and recession don’t want to be broken up, or to have new regulations put on their industry to deter speculation, and want assurances they will be bailed out again if they gamble and fail. They want regulatory appointees to be chosen from their industry titans so they can continue to govern themselves without any real checks and balances. Virtually all of their corporate sponsors from the healthcare and insurance industries adamantly oppose single pay and want to keep current levels of profits flowing to insurance companies, Big Pharma, HMOs, healthcare facilities, etc. while discouraging competition from government programs and generic drugs. What incremental change does Hillary plan to use to protect her corporate sponsors’ profits while “making healthcare affordable” as she promised voters? I was also puzzled by the five speeches to Jewish groups in 2013-2015 (totaling $1.25 million), with no other religious groups represented except a New Age spirituality retreat where Bill spoke once. When I listened to Hillary’s AIPAC speech it all made sense. The two-state solution favored by Bernie Sanders — which would defend Israel’s rights as a country but protect the native Palestinians’ right to have their own autonomous government in their own territory – would not be on the table if Hillary were elected. See also Hillary Clinton’s AIPAC Speech Was a Symphony of Craven, Delusional Pandering, by Michelle Goldberg, 3/21/2016, Slate and Hillary Clinton, With Little Notice, Vows to Embrace an Extremist Agenda on Israel, by Glenn Greenwald, 2/18/2016, The Intercept. If these groups are lobbying Hillary to support Israel, no doubt they will urge her to continue or increase the foreign aid to Israel, currently $3 billion to $4.5 billion per year ($8.6 to $12.3 million per day). All of the corporations and their executives they spoke to probably want to keep reduced taxes on the wealthy, generous tax loopholes for corporations, low minimum wages, and more trade deals to allow outsourcing. Judging by the number of return engagements to the same mega-corporations, the corporations that paid the Clintons six-figures for each hour of their time were happy with what they heard. They are not concerned about her populist campaign promises, copying Bernie Sanders’ speeches, because they just don’t believe it. Release of Clinton’s Wall Street Speeches Could End Her Candidacy for President, by Seth Abramson, 4/15/2016, HuffPost Politics. Given Hillary’s earlier public speech in which she said low income home owners should take some of the blame for the banking collapse, I wouldn’t be surprised if she didn’t reprise that argument in speeches to the banking titans who tanked the economy. Under the Missing Evidence Rule used by courts, when a party fails to present relevant evidence that the party controls and other parties have no access to, the jury is entitled to infer that the evidence would have been unfavorable to that party. Until Hillary turns over the transcripts we are free to assume the worst.